Details of the Smith families living in the Grewelthorpe area. Data is accurate as far as I can tell. But please check with a different source as well if you can. ANN SMITH. Born C 1798 Grewelthorpe. Dau of Joseph. Married John Moorhouse. of Dacre. BENJAMIN SMITH. Born C 1828 Guisley. Son of James a Quarryman. Farmer. Married in 1862 to Lydia Pinder. In 1871 he was a Publican in Grewelthorpe. A widower living in Grewelthorpe in 1881. Before marriage Ben was a weaver in Guiseley. BETTY SMITH. Born 29 Dec.1923. Dau of Wilfred [Innkeeper] & Mary. Married ? Thorpe. CHARLES SMITH. Born 1911 Kirkby Malzeard. Son of William [Farmer] & Martha. CISSIE SMITH. Born C 1894 Fewston. Dau of William [Farmer] & Martha. CLARENCE SMITH. Born C 1897 Fewston. Son of William [Farmer] & Martha. CLIFFORD SMITH. Born C1895 Fewston. Son of William [Farmer] & Martha. EDWARD SMITH. Born C 1848 Scotland. Doctor. Living Kirkby Malzeard 1871. ELIZA SMITH. Born 1872 Masham. Dau of William [brewer] & Hannah. ELIZABETH SMITH. Born C1796 Grewelthorpe. Died 1884 Easingwold. Married 5 Sep 1814 to George Richmond. of Kirkby Malzeard. ELIZABETH SMITH. Born C 1806 Kikrby Malzeard. Died 1897 Middlesborough. Married to John Burrill. in 1827. FRANCES SMITH. Born C1866 Bishop Thornton. Dau of Benjamin & Lydia Pinder. Living Grewelthorpe 1881. GEORGE SMITH. Born C 1893 Masham. Grandson of William [Brewer] & Hannah. ISABELLA SMITH. Born C 1850 Scotland. Sister of Dr. Edward Smith of Kirkby Malzeard. JAMES SMITH. Born C1869 Grewelthorpe. Son of Benjamin & Lydia Pinder. JOHN SMITH. Born C 1816 Mickley. Stonemason. Married to Ann. LYDIA SMITH [nee Pinder]. Born C 1833 Guisley. Wife of Benjamin the publican. MARY SMITH. Born 2 Feb 1849 Grewelthorpe. Died 2 Jan 1883. Ripon. Dau of William & Bessy Sanderson. Married Henry Clarke. MARY SMITH. Born C 1783 Grewelthorpe. Died 1873. Married Robert Calvert. at Goldsborough about 1822. MAUD SMITH. Born C 1886 Masham. Dau of William [brewer] & Hannah. ROBERT SMITH. Born C 1869 Masham. Son of William [Brewer] & Hannah. SARAH HELEN SMITH. Born C1863 Bishop Thornton. Dau of Benjamin & Lydia Pinder. Living Grewelthorpe 1881. SARAH JANE SMITH [nee Richmond]. Born C 1872 Wilsill Pateley Bridge. Died 6 Oct.1938. Wife of William Watson Smith. 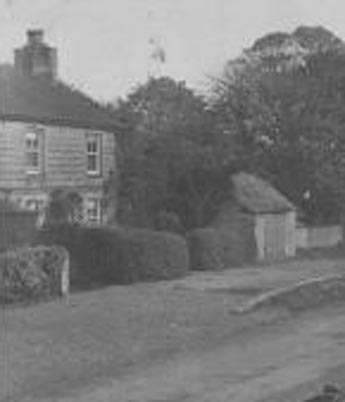 Lived Hazel House, Grewelthorpe. WILFRED SMITH. Born 3 April 1893. Landlord of Black a Moor Inn [Sawley]married to Mary [born 1898] He was also a haulage contractor in 1939. WILLIAM SMITH. Born C1810. Shipton. Died 1874. Son of Robert & Mary. Living Grewelthorpe in 1851. Married Bessy Sanderson. WILLIAM SMITH. Born C 1841 Mickley. Son of John [Stonemason] & Ann. WILLIAM SMITH. Born C1856 Tanfield. Married to Hannah. in 1891 Lab. in Brewery in Masham. WILLIAM WATSON SMITH. Born C1874 Killinghall. Died in Scarborough .Farmer in Grewelthorpe 1901. Married Sarah Jane Richmond. in 1898. In 1899 he was nominated for the Parish Council. WILLIAM SMITH. Born C1877 Middlesborough. Farmer. married to Martha. Living Kirkby Malzeard 1911. WILLIAM HERBERT CLEVELAND SMITH. Born C 1899 Grewelthorpe. Son of William & Sarah Jane Richmond. Married Gladys Mary Chapman of Tring in Feb. 1940. Reported in local paper. The wedding was almost called off because the vicar, the best man and the bridesmaid [Miss Proctor the bride’s niece] were all ill. Also a number of guests were ill. The bride was given away by her Father. Mr. H.A.Chapman of Tring. She wore a cyclamen coloured crepe frock, a fur coat, brown hat and spray of orchids. She carried a brown handbag, a gift from the bridegroom. The duties of best man were carried out by Mr Smith of Snaresbrook Essex. The reception was held at the Tring Hill Café. The honeymoon will be spent in Cheltenham. They will make their home in Scarborough.